University Relations handles all media, open records and other communication inquiries related to issues that have an impact on the entire University of Colorado system of four campuses, as well as requests for interviews with President Bruce D. Benson, and requests for information about the CU Board of Regents. 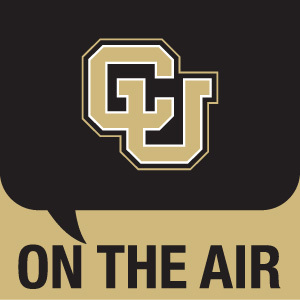 CU On The Air, our monthly audio podcast features faculty throughout CU's four campuses who are leading experts in their field. The podcast will promote the value of CU to the state and well beyond, and will be informational, relevant and entertaining. Join Ken McConnellogue, vice president for university communication, as he chats with some of the most fascinating researchers in the country.